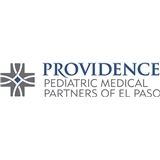 Providence Pediatric Medical Partners of El Paso (El Paso) - Book Appointment Online! Loved the doctor and I was in and out! Nice office and great staff!